Twenty years ago, if you were getting a computer, you were getting one with a newfangled CD-ROM drive. And you were getting a game to justify it. That game was probably Myst. And if that wasn't the case for you, it was for your mom or grandfather or cousin. Like few games before or since, Myst was ubiquitous. I was a teenager when it came out and mostly a Nintendo gamer. But my family had a computer, and of course we had Myst. Everyone had Cyan's game. When I Was A Teenager, I Kept This Myst "Journal"
Myst was a quiet adventure that required players to poke through a mysterious island, trying to solve various logic puzzles. It was peaceful, quiet and meant to be played slowly. It was, essentially, the tonal opposite to another legendary 1993 PC release, Doom. Fans of one game were likely horrified of the other. Was Myst a good game? Hard to say. It's puzzles were tricky but not ingenious. The game was hard to solve, but not exactly fun. Myst was, perhaps a good game at getting people to play games. It gave millions of people a chance to feel the thrill of solving a vexing problem presented in video game form. 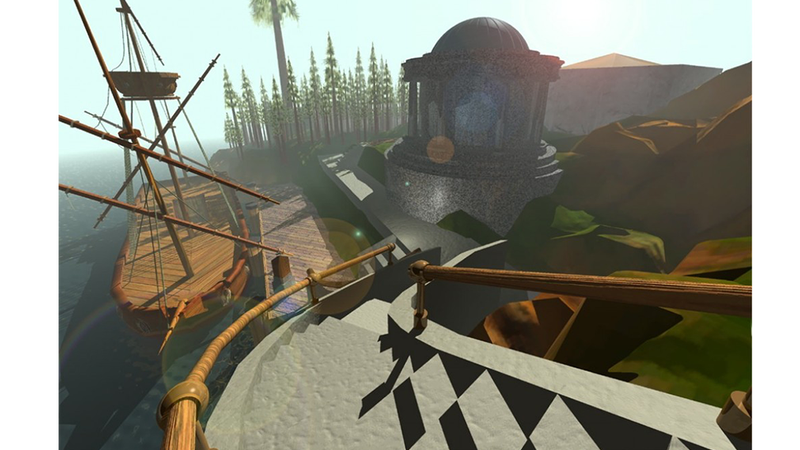 Celebrate Myst's 20th birthday by watching someone race through the game in 105 seconds. If you suddenly have a hankering to play Myst, you can grab it for an iPhone/iPad or get it for a Windows computer through Steam or GoG.